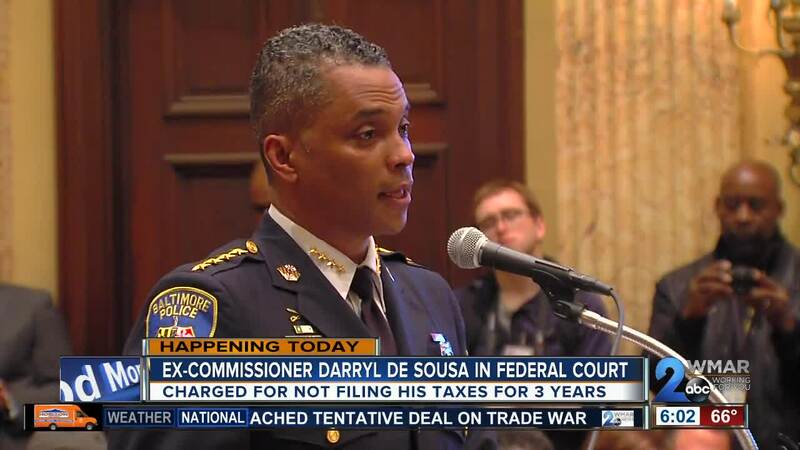 Former Baltimore Police Commissioner Darryl De Sousa was in court on Monday for the first appearance on federal tax charges. He resigned last week after he was charged with willfully not filing his income taxes for three years in a row. During his first appearance, it was announced that he will not be held, and he is to stay at home as well as forfeit his passport and any firearms. "The key element is of that crime is whether it was done willfully, and that is certainly something that a prosecutor is going to explore before bringing charges; whether they believe it was does willfully. That is to say that is wasn’t a mistake or based on some misunderstanding of the law," attorney Charles Curlett said. The charges resulted in De Sousa's resignation after just four months as the city's top cop. Prosecuting the case are the now well-known attorneys who took down the Gun Trace Task Force. Given the scope of Leo Wise and Derek Hines' recent work, Curlett says De Sousa's charges may not be so random. "Prosecutors will follow an investigation wherever the facts lead. 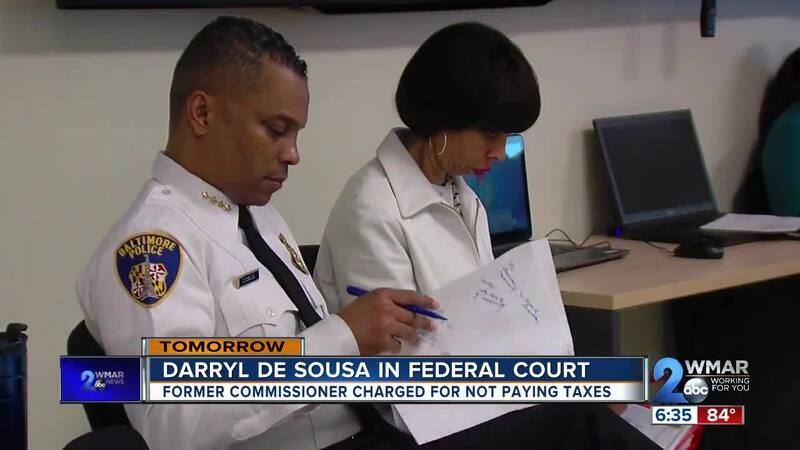 It is certainly conceivable that, as they were investigating the Baltimore police department, that that led them to a discovery of the commissioner's failure to file tax returns," Curlett said. There also may be even more. WMAR 2 News obtained grand jury subpoena's issued to the Baltimore Police Department looking for more information on De Sousa. Among what the feds are asking for are tax forms, wage statements, pay stubs, personal and internal investigations files, along with overtime and timesheet records dating back a decade. Curlett says it's also not unusual that the charges came down around tax return time. "The fact that someone in the position of the commissioner is facing these charges, it certainly has a deterrent effect on those who may not be inclined to file tax returns and that’s a legitimate goal of law enforcement," Curlett said. Curlett recalled a similar case that happened in federal court in 2011. An Anne Arundel County councilman was convicted of failing to file personal income taxes for 4 years and payroll taxes for 6 years. He got 5 months in prison and 6 months of home detention. "This is something that federal prosecutors take very seriously, as does the court," Curlett said. De Sousa faces a year in prison and a $25,000 fine for each of the three counts. Both sides are expected in Federal court at 1 p.m. Monday.